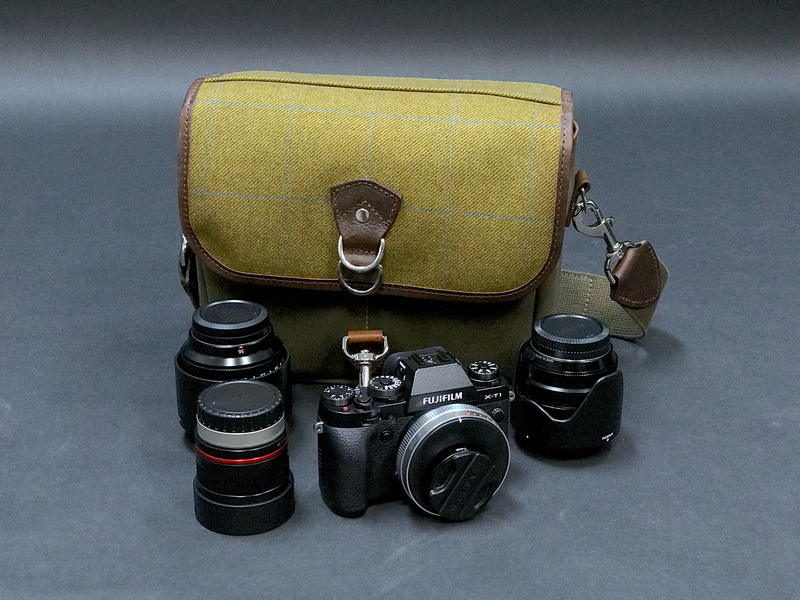 Back in June, I reviewed the Hawkesmill Jermyn Street Camera Bag, which I continue to love to this day. I have used it every day for the past nine months, easily swapping in panels for when I need to carry camera gear and removing them when I just need an awesome daily bag. 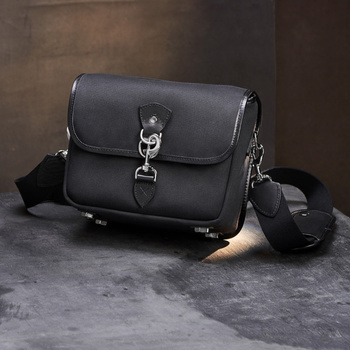 I mentioned in that review that Hawkesmill would soon be releasing smaller versions of their luxury bags geared specifically towards mirrorless camera users. I’ve been using the smaller version from my first review for the past several months and am ready to kick off the new year with some of my thoughts regarding this bag. It really is true: you get what you pay for. Many people do not want or need an expensive bag, just like many photographers don't want or need the top-tier 50mm f/1.2; they're perfectly happy with their $100 nifty-fifty f/1.8. Not everyone has the same wants or needs, and that is totally OK. There are certain things that, when I buy them, I want them to last me a long, long time: shoes, jackets, bags, things like that. I firmly believe that (if it is financially feasible for you) there is never anything wrong with investing good money in a quality product that will last you for years and years to come. So, I don't have a problem with an $800 bag that I am going to use every day for the next 20 years; that's a solid investment for me. But you, dear reader, should follow your bliss. Now that that’s out of the way, let’s get into the bag itself. 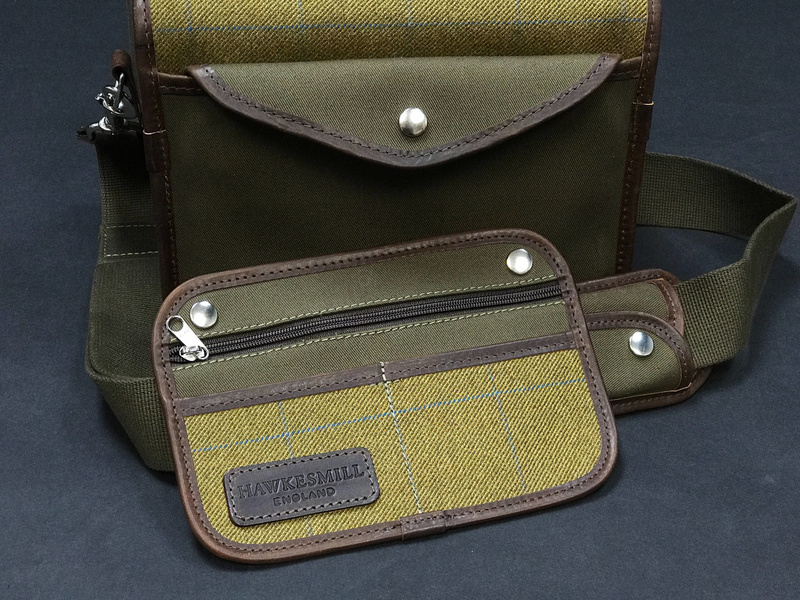 Hawkesmill full-size bags come in four distinct variations of both color and material; I was sent the Jermyn Street version, which is more or less the little brother of the full-size bag of the same name. 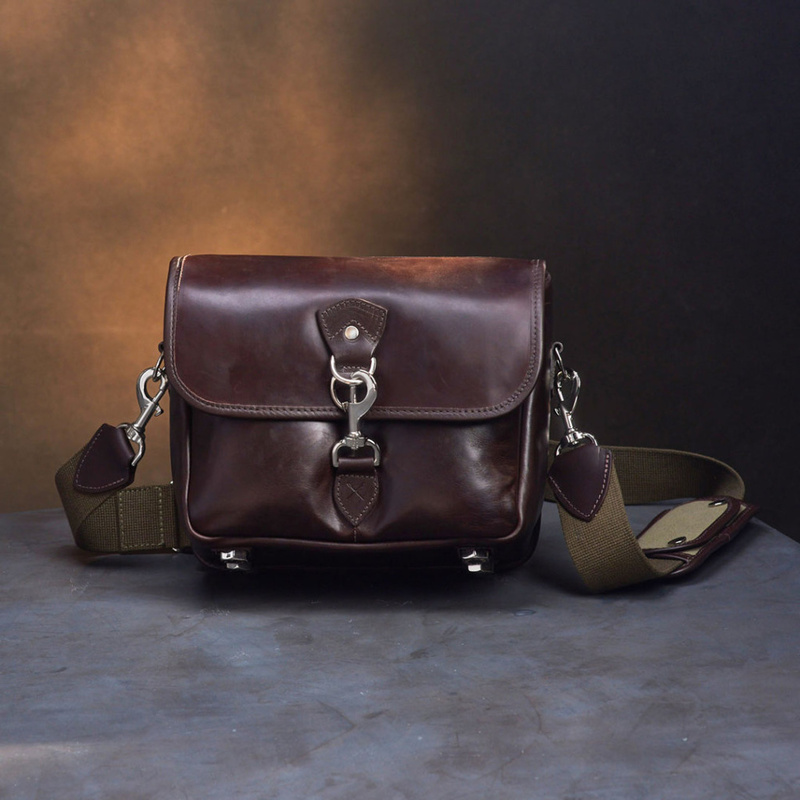 In addition to the four original variants, Hawkesmill has also created a version of the small bag made entirely of Chromexcel leather that they call the Regent Street. If you aren’t a leather aficionado, take a moment to read about Chromexcel. It’s fantastic.. 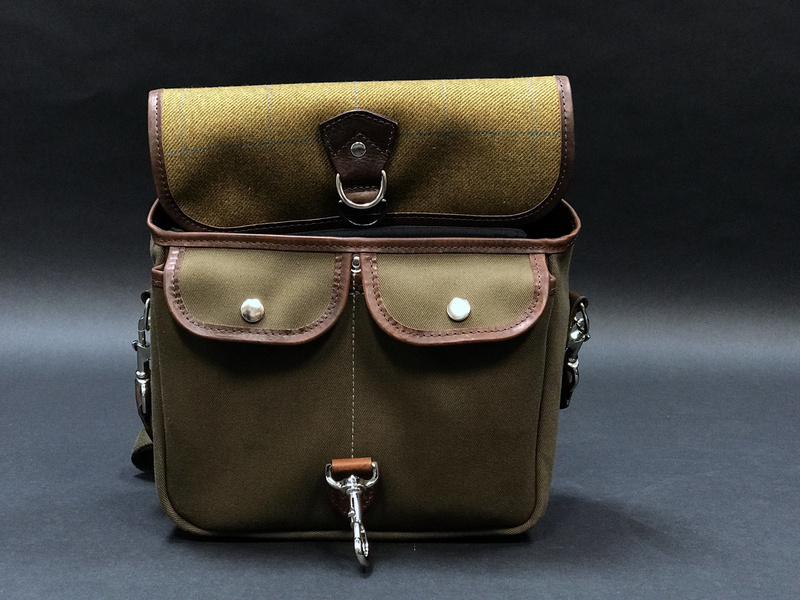 Unfortunately, I did not get to handle one of the Regent Street bags, but I own several products made with Chromexcel leather and can imagine what the quality must be like. 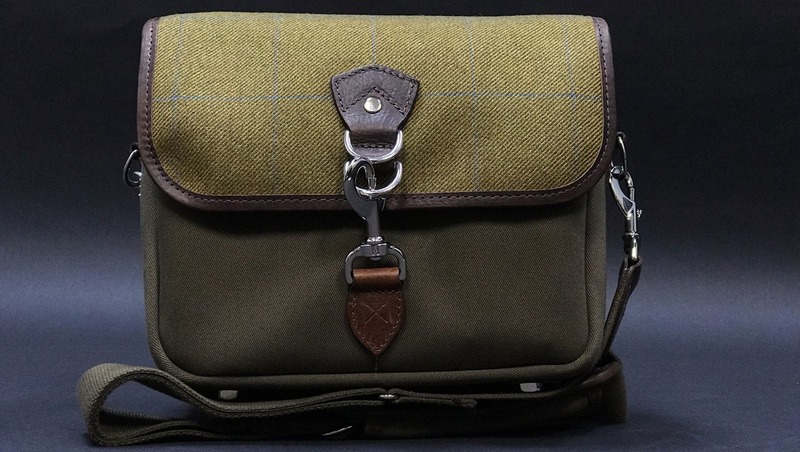 I asked the guys at Hawkesmill if they had plans to release a full-size version of the Regent Street, but they explained that the cost of material for a bag that large exceeded reason, even for a luxury bag. Rest assured, when my great-grand-uncle that I’ve never met passes away and leaves me his fortune, I will be getting a bag made from this leather. But back to the Jermyn Street: it’s quite a handy little bag. I can easily fit my entire mirrorless kit into it (a Fuji X-T1, battery grip, 56mm, 23mm, and 8mm lenses) as well as my Kindle, so it’s a pretty great bag for walking around with. It’s a little boxy due to the interior padding, but I actually prefer that as I don’t worry about any of my gear getting jostled around or damaged in a crowd. 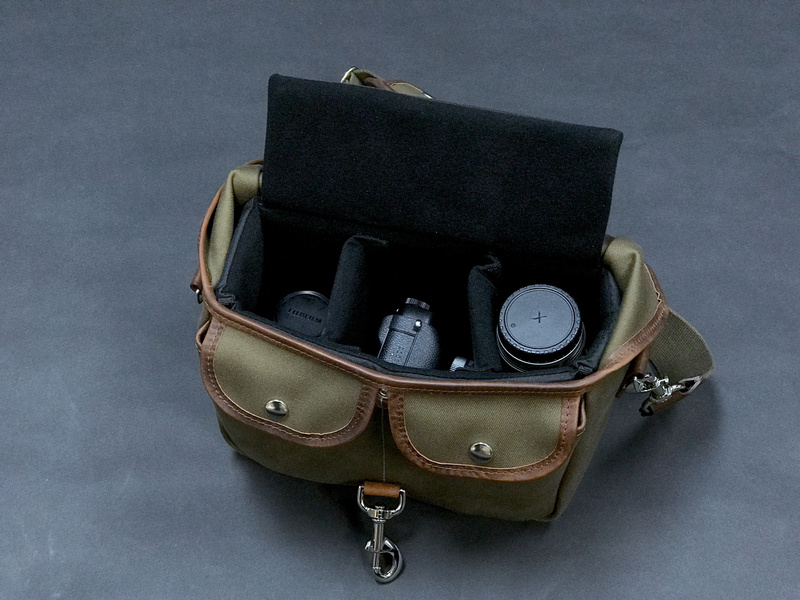 One of the biggest departures for the mirrorless line from the original bags is the change in closing mechanism. The flap on the small bag is secured with a trigger hook and d-ring setup. There are actually two d-rings, so you have some wiggle room to overpack the bag if necessary. I have mixed feelings about the closure: I find it to be less aesthetically attractive than the double leather straps and nickel turn lock on the larger bag, and it’s also more difficult to get in and out of intuitively with one hand. The flip side of that is I feel very safe knowing that no one is going to be able to easily flip my bag open and grab something out of it on a crowded subway or other public situation. Security always comes with tradeoffs, but I do find the closure system to be the only real negative on this really nice bag. Raising the flap reveals two small outside pockets that are great for mirrorless batteries, small cables, pens, notepads, etc. The snaps that keep them shut are solid and secure, something you expect any decent bag to have, but I’ve owned a surprising number that seem to cut corners when it comes to snaps and closures. The interior of the bag is well padded and has standard Velcro dividers that can be moved and adjusted depending on your needs. The padded interior is also completely removable if you want to take it out and use the bag as just a bag. 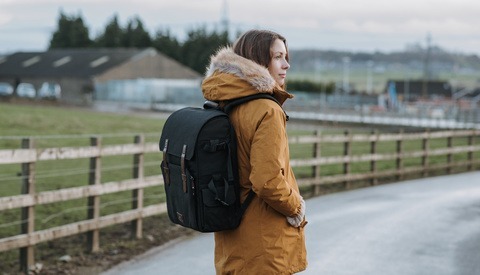 The back of the bag features a full-width pocket with snap closure and a small passport holder with a zippered pocket, perfect for stashing travel documents and some extra cash when you’re on the go. The bottom of the bag has the same nickel feet that I love on the larger version: I never worry about scuffing the bag when I set it next to me at a coffee shop or when I’m on the go. It might be silly, but these feet are one of my favorite features on Hawkesmill bags. While the smaller line of bags work extremely well for carrying a mirrorless kit, it also fits a standard DSLR and lens quite nicely. I’ve had several shoots where I just tossed my D750 and 50mm in the bag and went on my way, enjoying not having a larger bag to tote along. 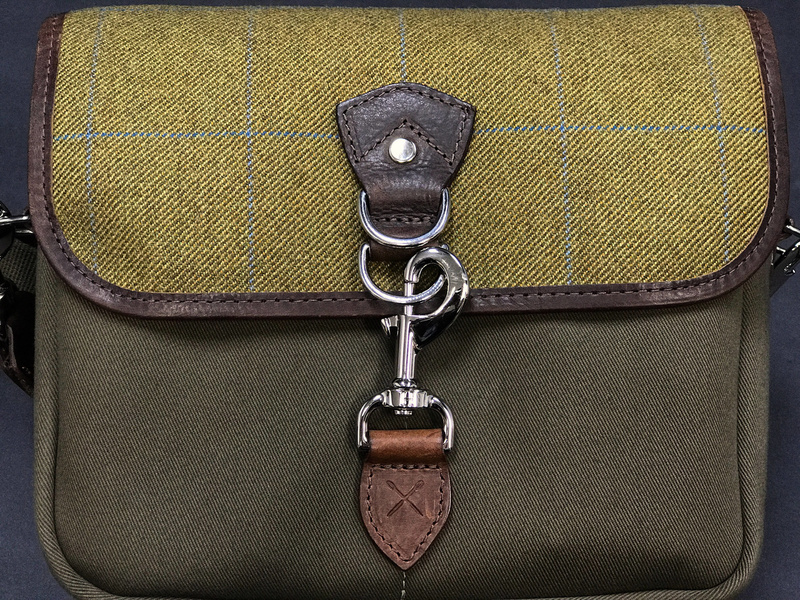 The green canvas and Harris tweed of the Jermyn Street really shine through on the larger version of the bag, where the extra leather accenting really stand out, but the visual is not quite as impressive on the smaller version as much of that leather is gone due to the reduced size. I would probably lean towards the leather Regent Street (for sure!) or the black Bond Street or Sloane Street versions if I were to get another, as I think their visual appeal fits the smaller form factor somewhat better. I wish I had owned one of these bags when I visited Paris several years ago. I had a nice travel backpack that I carried my Fuji kit in, but in retrospect, a smaller, more fashionable bag like the Hawkesmill would have been really perfect for two weeks I spent in the city. 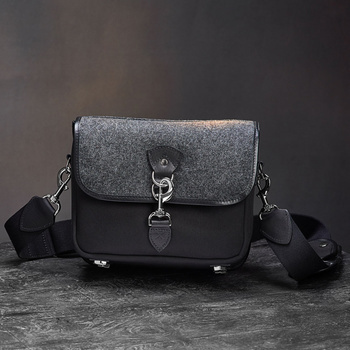 The Hawkesmill small camera bags start at around $400 for the classic color variants and around $575 for the all-leather version at the time of this writing. Uncompromising quality of build and materials. Those awesome nickel studs on the bottom of the bag. Small form factor and simple design well-suited for urban travel. I would like to see a different closure on future models. I don’t know what that would be, but I would like to see something that fits the bag’s aesthetic better than a trigger hook. Jermyn Street version loses a little something in translation to smaller size. 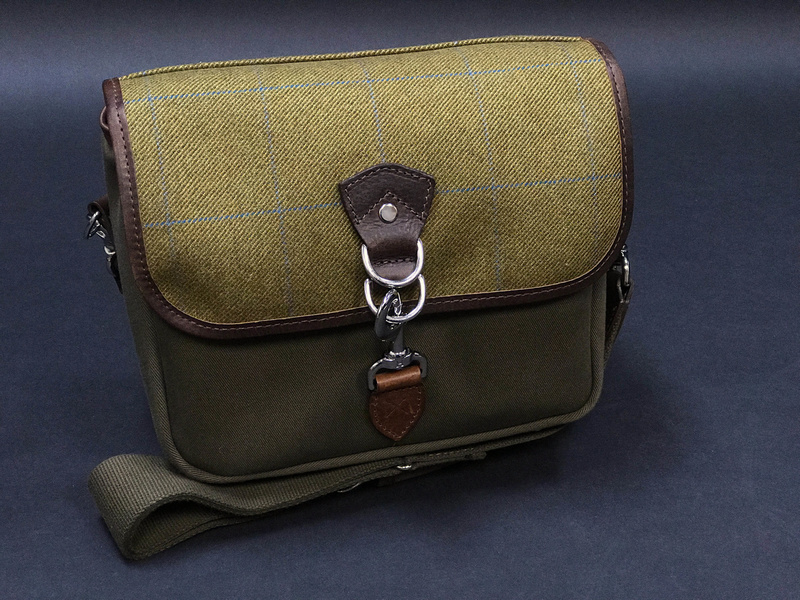 Hawkesmill’s handmade bags are available from their website and ship worldwide. It's a *beautiful* bag (how come there are no photos of the inside of it?? ), but it screams, "Hey, i have something really really expensive in this bag". 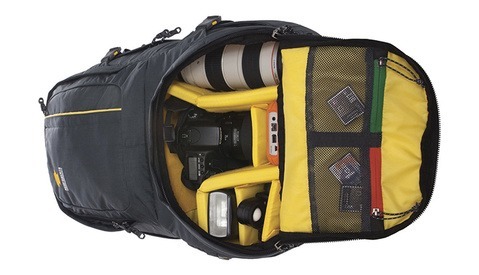 For my XT2 mirrorless, i love the Think Tank Mirrorless Mover bag. Jay, my bad on those images, added an interior shot and one showing what all I had inside. Thanks! As far as how it looks, I think with any purchase it all comes down to your needs. I tend to shoot a lot of high-end events and so I prefer something that matches that atmosphere. 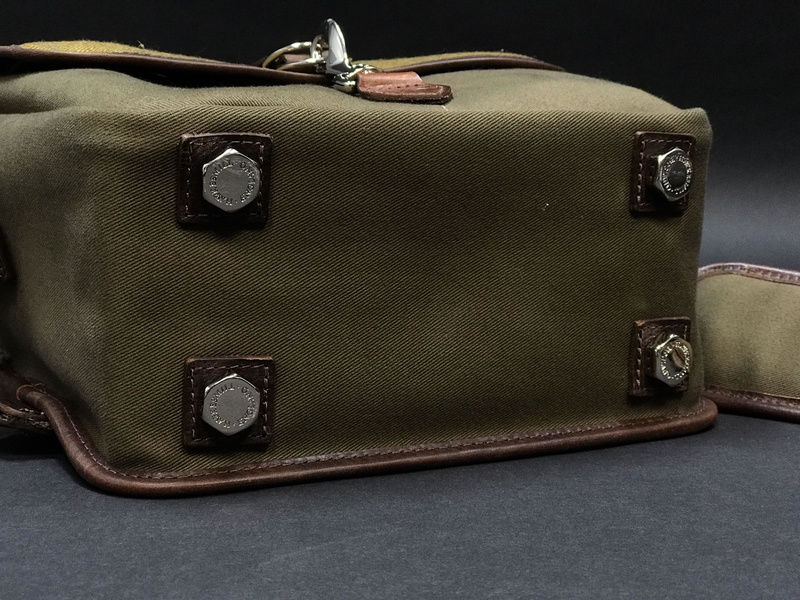 With all due respect to Think Tank (I love their stuff, I have several TT bags), I find their Mirrorless Mover line to look a little too much like a lunch box for my taste. When I can get something handmade that's top-quality and will last for years to come, I tend to go that direction. Also, when you live in a major metro city, everyone has bags ranging from Walmart backpacks to thousand dollar briefcases, so I've never felt singled out for theft simply because my bag looks nice. I think having a bag in public at all makes you a potential target for thieves at some level. Like I said above though, any purchase is all about what you want and what you need. I've yet to find a single product that I would ever say is right for EVERYONE. 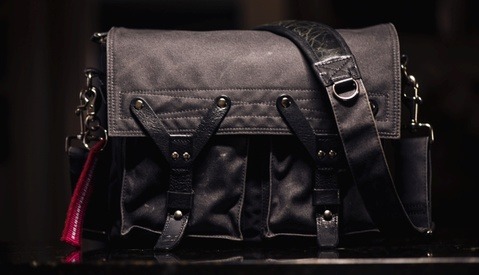 I agree it looks utilitarian, but that's why i got that ThinkTank- it looks like a black bag that blends in. If i were in Brooklyn, where everyone walks around with their Mark 3 and 4's out in public like it's nothing, i would definitely consider one of those Hawkesmill bags. But for discreetness, i love my bag. Makes total sense! That's why I own way too many bags, one for every mood lol.